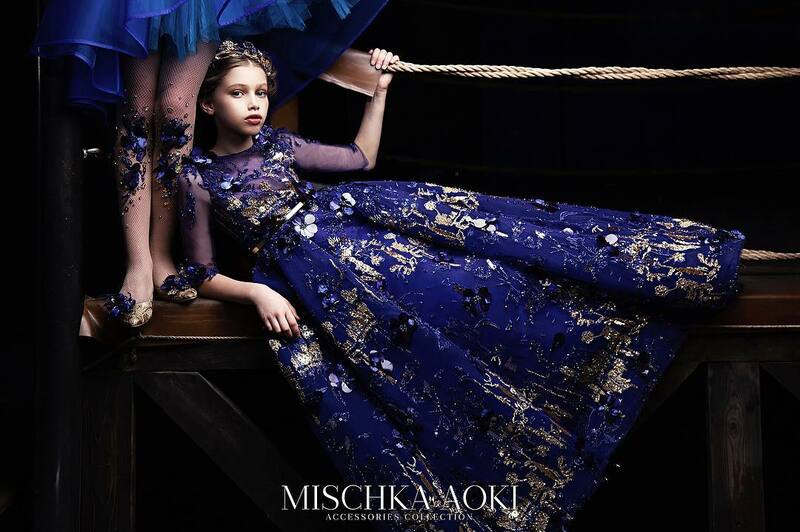 For this childrenswear collection at Gucci, Alessandro Michele (who took over from Frida Giannini at the beginning of this year), presented a wealth of ideas that firmly and strongly built on what he started to show us his intentions were last season. 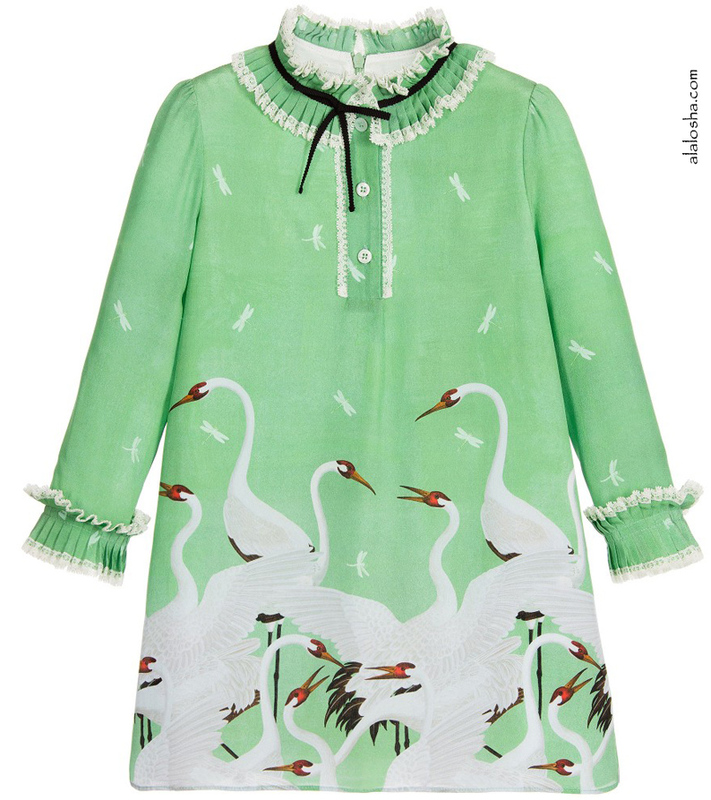 Girls beautiful green silk dress by Gucci. This elegant design has a delightful heron print and dragonfly silhouettes. The neckline is round, with a delicate concertina pleated ruffle that is edged in lace and embroidered with black braiding. There are a button placket and logo-embossed mother-of-pearl buttons. The long sleeves have matching ruffle cuffs and it fastens at the back with a concealed zip and is fully lined for comfort. 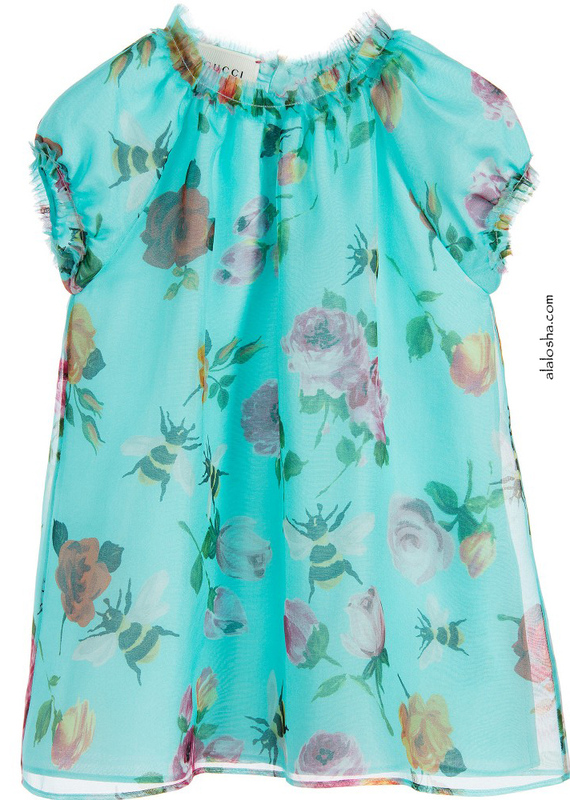 Baby girls lovely turquoise dress by Gucci, made in a delicate, translucent silk with a beautiful roses and bees print. The dress is fully lined in a silky, turquoise, viscose and cotton blend and has a pretty red heart button fastener along the back. The neck and cuffs of the puffed sleeves are edged in little ruffles and the front of the dress is gathered, giving fullness and flare. Perfect for many smart and special occasions, and would look very cute with pink bootees. 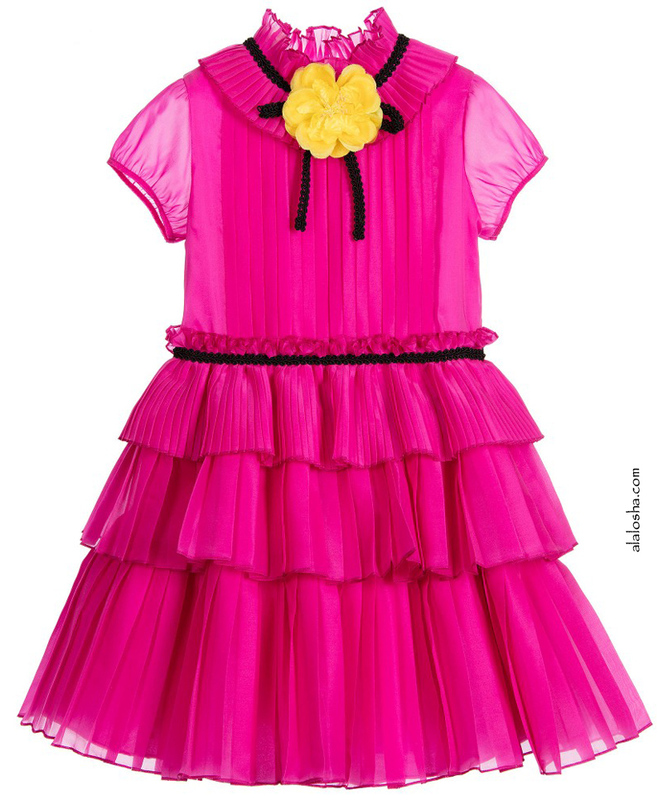 Girls beautiful bright pink silk dress by Gucci. 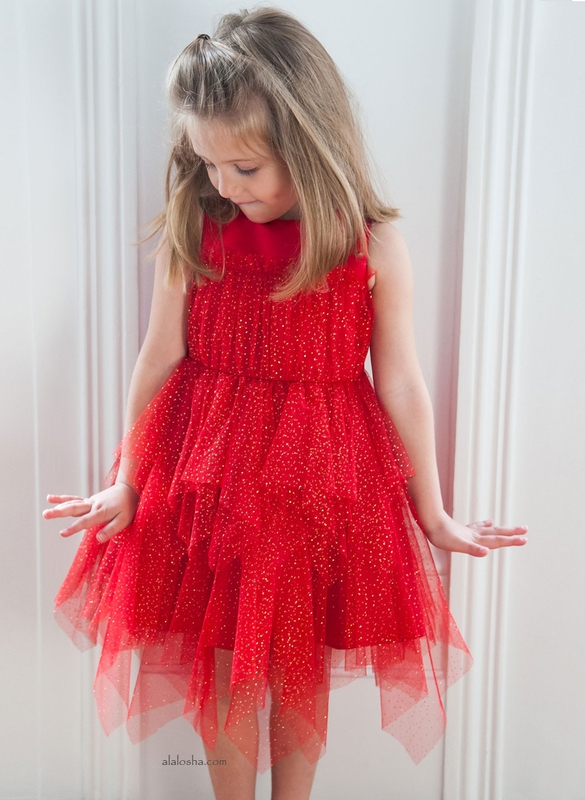 This elegant design has concertina pleats over a tiered ruffle skirt. The bodice is fitted and pleated, with a round neckline that has a pleated ruffle frill, with a bright yellow silk bougainvillea flower appliqué and black bow braiding. There are sheer capped sleeves and a small ruffle frill around the waistline, edged with black braiding. The dress fastens at the back with a concealed zip and is fully lined for comfort.